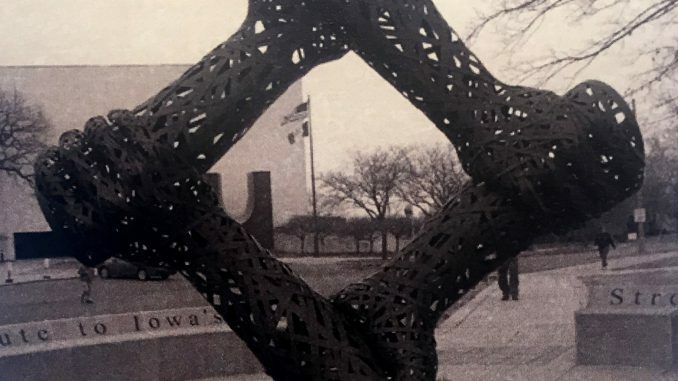 April 28 is Workers’ Memorial Day, a time to remember those who died in Iowa workplaces and while serving in the military. It is also a time to renew our commitment to safe, healthy jobs. This year, we honor the 32 Iowans who died from injuries sustained while working in 2017, and reflect on the toll workplace injuries take on Iowa families and communities. Since 1970, the Occupational Safety and Health Act (OSHA) has promised everyone the right to a safe job. Over the years, workers, unions and other advocates have fought to eliminate hazards and save lives. Those gains are now threatened by efforts to overturn worker protections at the state and federal levels, and cuts to safe-workplace enforcement. Hurt 185,000 families and their communities by prohibiting public workers from collectively negotiating terms of employment, including safety (HF 291). Cut protections for Iowans hurt on the job through no fault of their own, reduced an employer’s liability for injuries, and encouraged employers and insurance carriers to avoid paying claims (HF 518). Made it extremely difficult for Iowans who are sick or dying from asbestos exposure to be adequately compensated for their pain and suffering (SF 376). Weakened inspections of commercial boilers, which can cause severe injury or even death if they explode (HF 2297). We voted against this legislation and continue to stand up to the attacks on hard-working Iowans. We won’t support threats to the safety of Iowa workers—the engine that drives our economy.